When will be Yes, Prime Minister next episode air date? Is Yes, Prime Minister renewed or cancelled? Where to countdown Yes, Prime Minister air dates? Is Yes, Prime Minister worth watching? 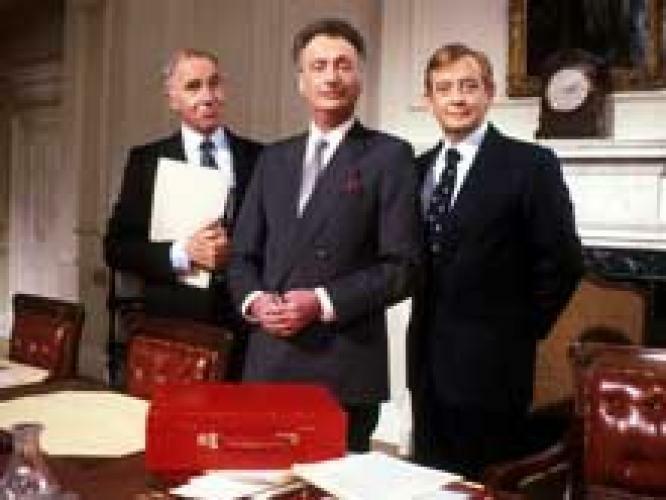 Continuing the struggle of Minster Jim Hacker to actually get something done in Whitehall politics, Yes, Prime Minister saw Jim achieve every politician's dream and slide up the greasy pole, right to the door of Number 10. Hacker is having problems with local government, especially a member of Houndsworth Council, who wants to abolish parliament, the courts and the monarchy. Is it time for Hacker's Reform Bill? The PM is to speak at the televised British Theatre Awards Dinner. Unfortunately, the Arts Council grant was less than generous and the Director of the National Theatre is introducing Hacker's speech. The education system is a disaster. Jim could always axe the Department of Education. But what would Sir Humphrey say? Hacker has committed the ultimate political sin - lying to the House. Humphrey feels he has a moral responsibility to tell the truth, unless Hacker can employ some gentle persuasion. Yes, Prime Minister next episode air date provides TVMaze for you. EpisoDate.com is your TV show guide to Countdown Yes, Prime Minister Episode Air Dates and to stay in touch with Yes, Prime Minister next episode Air Date and your others favorite TV Shows. Add the shows you like to a "Watchlist" and let the site take it from there.